Our vision for a just and thriving education system necessarily includes holistic solutions to closing the opportunity gap. How can a child focus on school work when they don’t know where they’ll sleep that night? Homelessness, housing instability, poverty, and domestic violence affect students’ access to a world class education, and disproportionately encumber kids of color. Thus, for the success of each and every child, from cradle to career, the EEC frequently partners with a range of organizations, teaming up to address the social injustices that unfairly burden our kids. The Children’s Alliance is making policy work for kids in Washington State. We mobilize thousands to make policy work for kids by taking action, speaking up, and giving donations that make change possible. Serving one of Seattle’s most diverse communities, the Southeast Seattle Education Coalition is made up of schools and numerous community organizations that work collaboratively in providing a safety net for students on the verge of failure. 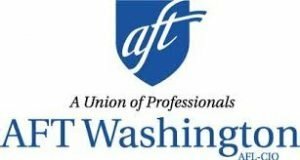 AFT Washington is a state federation affiliated with the 1.6 million American Federation of Teachers, AFL-CIO. We represent about 6,500 members including faculty from community and technical colleges and pre-K through 12 classified employees. Solid Ground works to end poverty and undo racism and other oppressions that are root causes of poverty. Their programs and services help more than 60,000 households build better futures throughout King County and across Washington state. Vietnamese Friendship Association was established in 1978 to help Vietnamese refugees and immigrants adjust to life in the US after the Vietnam War. VFA continues to advocates for Vietnamese and other refugee and immigrant communities. 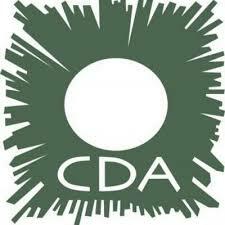 The White Center Community Development Association works to eradicate poverty and build a vibrant, economically diverse community. They facilitate a community-driven agenda that connects families and community members to resources and services. 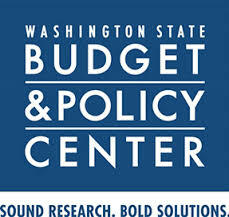 The Washington Budget & Policy Center use research and analysis to advance the well-being of Washington communities, improve the economic security and social opportunity of all in the state, and support the essential role of government in promoting a just and prosperous society. School’s Out Washington provides services and guidance for organizations to ensure all young people have safe places to learn and grow when not in school. SOWA is dedicated to building community systems to support quality afterschool, youth development and summer programs.